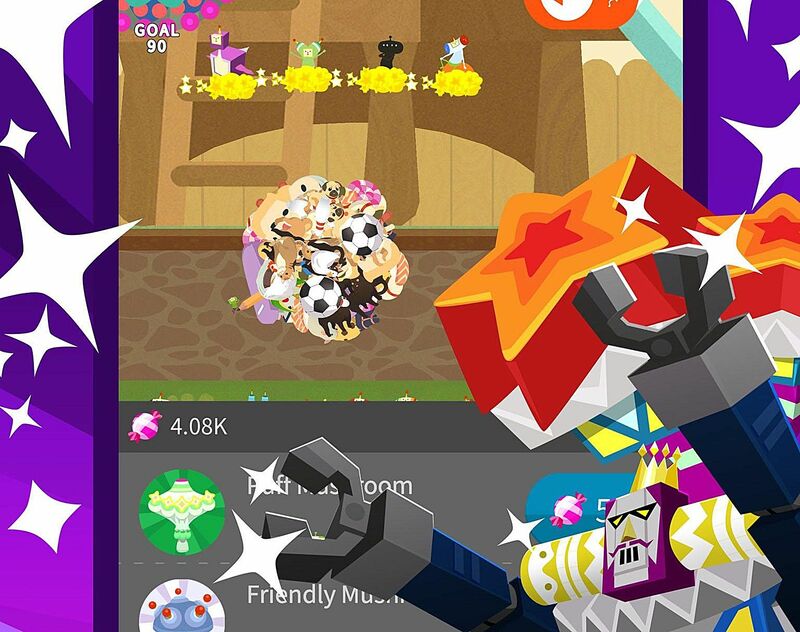 Tap My Katamari guide: Become a rolling star with these tips! 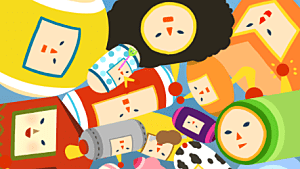 After a painfully long incubation period, Tap My Katamari is finally out on iOS and Android devices worldwide. 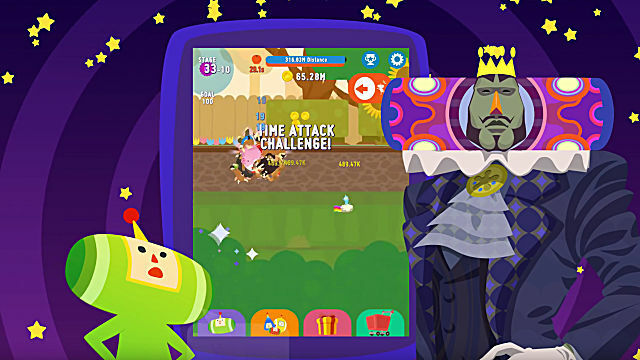 Don't be fooled, though-- this is no ordinary Katamari game. Tap My Katamari is an endless "cosmic clicker" that can quickly become frustrating if you don't prioritize correctly. 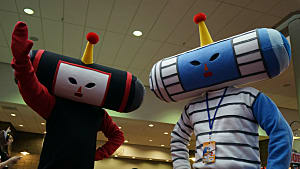 Luckily, we have prepared an in-depth Tap My Katamari guide chock-full of tips and trips so that you can roll happy. 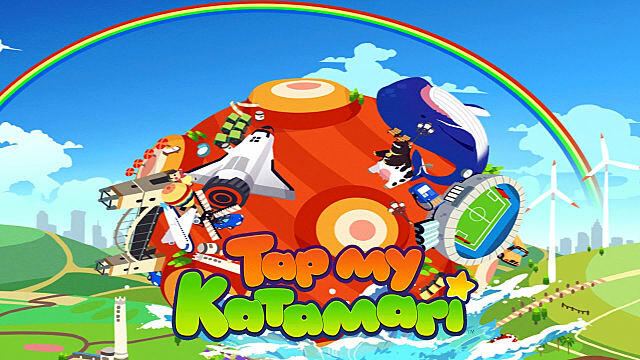 First of all, as stated above, Tap My Katamari is a far cry from previous games in the series. 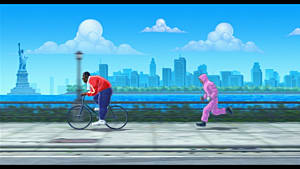 The gameplay is simple, players need only tap the screen to advance the Katamari and pick up items. As you pick up items, you gain coins which can be used to buy a bunch of different things that we'll get into later in the Tap My Katamari guide. Before you start the game for the first time, it's helpful to get to know the three main statistics you'll be dealing with and upgrading along the way. The green Prince icon refers to your tap power, and affects how much the Katamari moves when you tap the screen. The orange Cousin icon refers to your Cousin power, and affects how many coins you'll accrue when you're not actually playing the game. The last icon is a combination of the two, and gives percentage-based bonuses to both. This last stat is the most important one, and should be prioritized as you progress through Tap My Katamari. In the early stages of the game, before you graduate to the Garden, it's prudent to focus mostly on upgrading your tap power by leveling up your Prince. The going can be painfully slow early on, but things will speed up. As you start to gain more coins, begin to focus on buying Cousins. This will allow you to take a break when you hit progression walls, then come back in an hour or two and have a significant amount of coins waiting for you. Generally, it is more cost effective to stockpile coins and save up to buy new Cousins as soon as you can afford them instead of leveling up your existing Cousins. There will be time for that later. 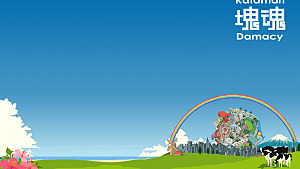 By this point in our guide, you'll be at Tap My Katamari's Garden stage, or you'll at least be pretty close to it. You should have some candy at your disposal, as well as access to all the menus. 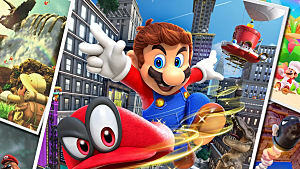 The first thing you should do at this point is tab over to the mushroom menu and activate Coin Fever by watching a short ad. This will double your coins for 4 hours, and can be reactivated as soon as that 4 hours is up. There's no reason not to have it active all the time. For that matter, you really should be watching the ads whenever the game prompts you. Watching these ads lets you double your away-from-game earnings and trigger events that can really net you lots of in-game currency. 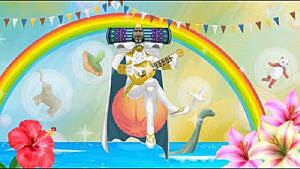 Now that that's out of the way, let's talk about the Mojos in Tap My Katamari. Each Cousin has a randomly assigned set of Mojos that can be unlocked as they level up. These Mojos range in level from 1 to 6, and can affect the game's main three stats, increase critical hit rate, and boost the amount of coins you receive. Of course, all of the Mojos are helpful, but those four should be prioritized. As a final note on Mojos, ignore the Powerful Mojo unless it is available for your cousin with the highest Cousin power level. Since this Mojo gives a boost only to that Cousin, it quickly becomes obsolete as more powerful Cousins are bought. It's incredibly important to remember that Mojos are the same no matter which Cousin uses them. This means that it's always more cost-effective to level up a weaker Cousin to unlock their Mojos, since the Mojo will be just as powerful as if it belonged to a stronger Cousin with a more expensive level-up cost. The Prince has 3 abilities, but you only really need to worry about two of them. The Charge and Roll ability is almost useless, and only worth getting because its cool-down is 10 minutes as opposed to a half-hour or longer. Buy it, but don't spend many coins upgrading it. The Magnetic Heart ability is handy, if only because it can help you cheese through tougher time attack stages. It puts the Katamari into hyperspeed for a while, and you can boost that speed even further by tapping along. 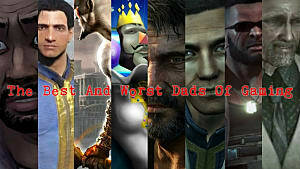 Feel free to upgrade this one at your own leisure. Don't make it a priority. The last ability, and the best one, is the Coin Soul ability, which simply lets you tap the screen wildly for 30 seconds, gathering coins for each tap. 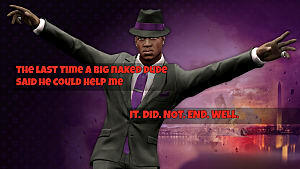 Upgrade this one whenever you can. As you roll, you'll start to accumulate a stockpile of candy. Never, ever, ever use it on anything other than purchasing special Cousins and upgrading them. The reason for this is that as your Katamari grows, you'll be able to turn it into a star in exchange for Star points. When you do this, everything resets -- your Prince's level, your Cousins, your coins, everything. Well...that is, everything except your special Cousins (and any Star points or Presents you may have collected). Use your candy on purchasing special Cousins, leveling them up, and changing their Mojos to the most valuable ones. 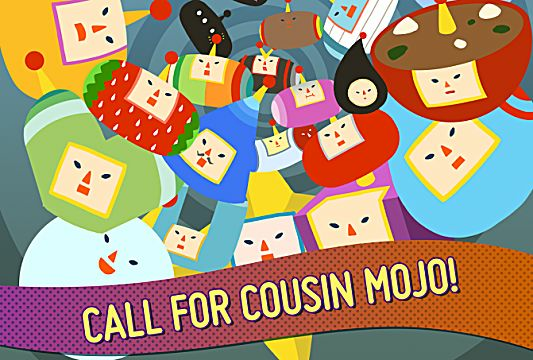 Ideally, you want all of your special Cousins to have Mojos at level 4 or greater in one of the four most valuable Mojo types. This also means that you're really going to want to ignore pretty much everything in the mushroom tab, unless you've shelled out real-world money for your Candy and you have a bunch of it burning a hole in your pocket. Personally, I still think you should just spend it on special Cousins. When the Prince hits level 600, he'll be able to make his Katamari into a star, and you'll be awarded Star points based on your Prince's level, your Cousins' collective levels, and the stage you are at. An important tip for Tap my Katamari is that if you're really in need of more candy, hold off on making a star. Candy is much easier to come by in later stages than it is earlier on in the game. That said, you shouldn't hesitate to make your first star, assuming you'll get somewhere in the ballpark of 30 Star points for it. And once you do make that star, go crazy purchasing Presents. 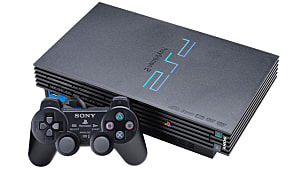 These will make your life so much easier when you start over with a brand new Katamari, and the same rule applies as with the Cousins -- it's usually better to get a new Present than to upgrade an existing one. There are exceptions to this rule of course, however. Items like the Camera that increase the amount of objects in the stage should be prioritized heavily, along with items like the Coin Purse that drop upgrade costs. In addition, anything that offers massive increases to the stat that offers bonuses to both Tap and Cousin power is worth upgrading as well. As you gain more presents and learn how they work, prioritization will become easier and easier. The flip side to this is that new presents and upgrades will become more expensive, so after your first Katamari, it is optimal to wait longer before making Katamaris into stars to max out the amount of Star points you get from them in the end. This guide to Tap My Katamari should help you optimize your purchases so that you're not wasting time (or coins!) during play. Having said that, if you hit a progression wall, simply put the game down for a few hours. Remember that Tap My Katamari is generous with the coins it gives you while you're not actually playing the game, and that if you have upgraded and unlocked your Cousins correctly, you'll return to enough coinage to buy your way through to the next stage. If you're more impatient, just wait for your Coin Soul or Magnetic Heart abilities to refresh, and you'll be able to progress that way as well. Tap My Katamari is a joyful little clicker, one that uses ads in a smart way and doesn't make in-app-purchases necessary. There's a lot of fun to be had here for fans of the clicker genre, from the bright visuals to the catchy remixes of classic Katamari Damacy tracks. Be sure to download it ASAP from the app store and put our Tap My Katamari guide to work today, and start rolling up those stars!